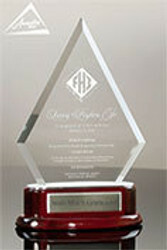 Showcase your company’s logo, image of corporate headquarters or memorable moment with these attractive Full Color Glass Plaques with silver pins. The image is printed on the back of the glass which has a frosted finish and the front of the glass is smooth with one to two silver pins depending on the size ordered. 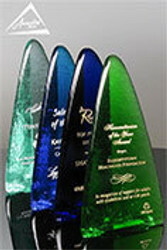 The Full Color Glass Plaques are available in 4 sizes and can be purchased both horizontally and vertically. 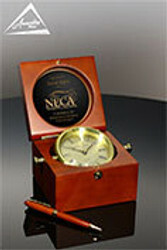 Sizes range from 4” x 6” to 7” x 10”, so there is sure to be a size to fit your needs. 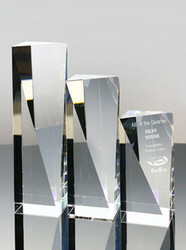 There is also a Portrait version of these awards. 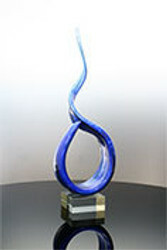 Please note that the lower quantity level on this award has a higher piece price due to the set up charge for the full color printing. 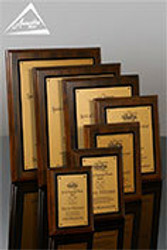 The Full Color Glass Plaques are very popular for Company Anniversary Gifts, Thank You Gifts, Volunteer Recognition, Employee Gifts, Desktop Awards, and other Staff and Employee Awards and Gifts. Production Time:10 Business Days from art approval (shipping time is additional). 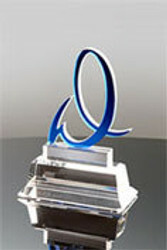 Expedited delivery options may be available on this award. More information on Rush Orders can be found in our Resource Section. 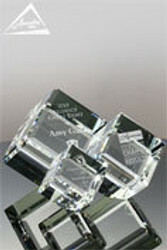 Please call our Awards Consultants to discuss your requirements in more detail: 1-800-753-3384. 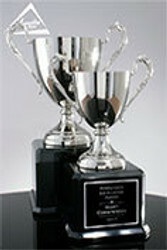 All awards start blank and are finished to your specifications. Included in the price: full color print on the back of the glass. Some logos or pictures may require additional art charges depending on the resolution of the image provided. 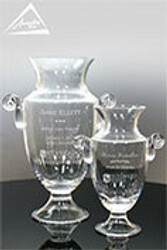 Engraving on additional locations of the award, as well as color fill for text or logo may be possible; please call our Awards Consultants to discuss these options (additional cost and production time will apply). 1-800-753-3384. Art proofs are generated after order placement, providing you the opportunity to review spelling, grammar, etc. for revisions before approving. 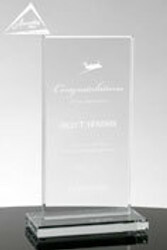 Our design team will lay your logo(s) and text out on a template of your award and provide this to you in PDF format to review.